EXO Chen, to celebrate the release of his first solo album, live on Naver V! EXO Chen (a member of SM Entertainment) will communicate with music fans with special busking performances. Chen will host "CHEN's APRIL BUSKING" at 7 p.m. on April 1 to mark the release of his first mini album, "April, and a Flower," and the show will be held as a surprise event without prior notice of the venue and will be broadcast live on Naver V LIVE's SMTON and EXO channels. Especially, Chen is expected to capture the warm and affectionate fans of Chen as he plans to share colorful stories such as his first solo album, "Beautiful Goodbye" live, as well as work behind the scenes, introduction of new songs and recent talk with fans. 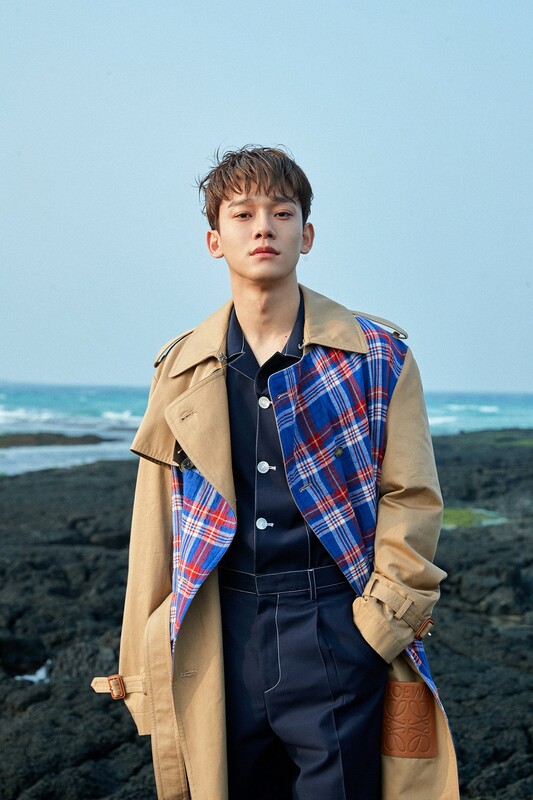 In addition, Chen opened his own YouTube channel "CHEN" prior to his solo debut, uploaded a cover video of Yang Da il's "Sorry" and made headlines on 26, and released the much-loved OST "100days my prince" OST's "Cherry blossom Love song" singing video, which boosted expectations for the album. Chen's first mini-album, "April, and a Flower," will be released on various music sites at 6 p.m. on April 1 and will also be released as a record on the same day.